The Province of Syracuse (Italian: Provincia di Siracusa; Sicilian: Pruvincia di Sarausa) is a province in the autonomous island region of Sicily in Italy. Its capital is the city of Syracuse, a town which was established by Greek colonists arriving from Corinth in the eighth century B.C. It has an area of 2,109 square kilometres (814 sq mi) and a total population of 403,985 (2016). Syracuse has 8% of the Sicilian population and 8.2% of Sicily's area. Once one of ancient Greece’s most important cities, today Syracuse (Siracusa in Italian) is a lively town of about 125,000 on Sicily’s southeast coast. The city overflows with amazing remnants from its long history. Romans, Vandals and Normans are but a few of those who ruled here after the Greeks. 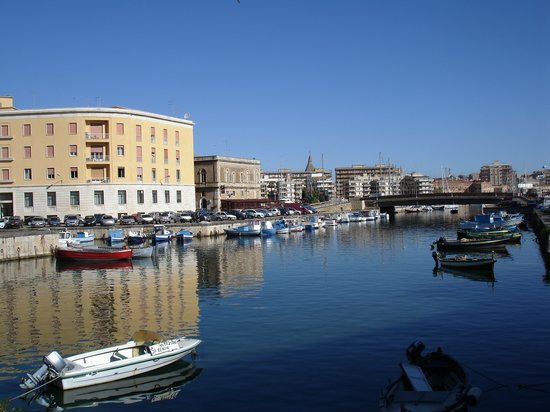 In Syracuse’s harbor, Ortygia Island (also called Città Vecchia or Old City) is the site of many of the main attractions, including the seventh-century cathedral and the Fountain of Arethusa.